My Purple World : Have a glorious Eid Al-Fitr..
Have a glorious Eid Al-Fitr..
Hopefully we all will always be blessed with love, peace and prosperity. .
Selamat hari Lebaran, Mak. Minal aidin wal faizin. Kullu am wa antum bi khoir. Nice photo and beautiful words! 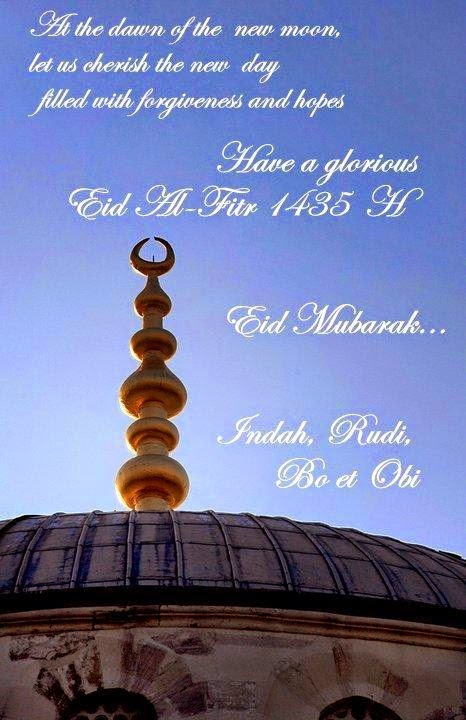 Happy eid Al-Fitr as well..
you, too..maaf lahir batin ya mba..
Have a good day. I to love the photo. have a great day to you, Alissa...thanks for enjoying the photo..